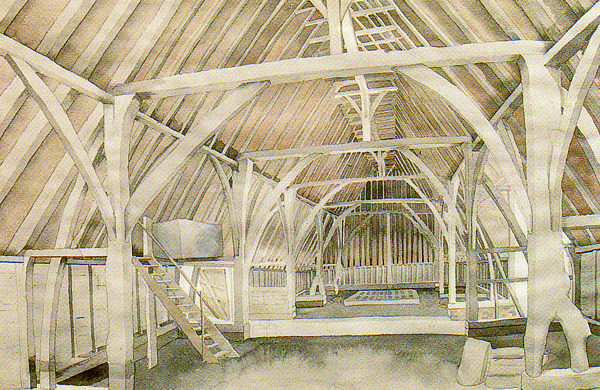 The two Barns at Abbey Farm, Faversham, are among the few surviving buildings of Faversham Abbey, founded by King Stephen and his Queen, Matilda, in 1147 and dissolved by Henry VIII in 1538. The smaller (Minor) Barn dates from 1425 and is one of only 6,000 Grade I listed buildings in England. The larger (Major) Barn dates from 1476 and is listed Grade II. In the farmyard of which they form part there are other listed buildings, including Abbey Farmhouse, part of which dates from the 14th century, and a small building which is thought to have been the Abbot's stable. Despite their importance, most of these buildings are in a poor state, superficially, though their structures remain sound. The Minor Barn has also been damaged in an arson attack. In 1999 the Barns were listed by the World Monument Foundation as among the 100 historic sites most in danger in the whole world. 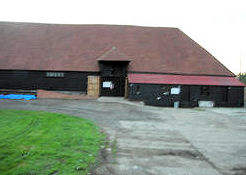 In December 1999 the Barns and associated former farmland were purchased by local businessman Robin Dane. Mr Dane made his base his joinery business in them whilst at the same time promising full restoration, under the guidance of English Heritage, and the possibility that the Barns will be open to the public.